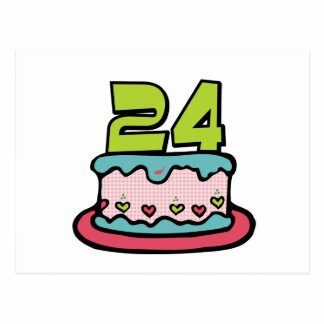 Somehow, I managed to survive to age 24 and not die as a hobo (yet). What with a difficult and challenging senior year, I still do not know how I survived college and graduated with a B.S. Software Engineering. Having earned ~$600 a week before my birthday (~$390 from my shrewd Uncle Sam via a tax return and ~$200 from a bi-weekly paycheck at the job) and having <2 months left until I get hit by my evil, Satanic college bills, I figured I could spend some money to celebrate surviving another year, in the worst-case scenario I do not find a real programming job by then, default on my loans, and end up as a financially broke hobo. 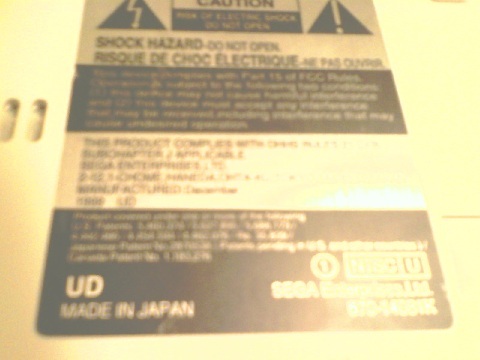 Last year, I ordered an EDMD for my Sega Genesis and its add-ons, in order to play old games and test homebrew software I write. What did I purchase this year? One thing I am bad at when making video games is creating my own music. I have no experience with playing a piano, and am planning on soon learning how to, in order to compose original music. Originally for my birthday, I was planning on finally retrofitting an old Yamaha Portasound PSS-470 piano I picked up for a bargain $10 at a garage sale during summer 2012 with MIDI capabilities, by installing a UMR2 kit from Highly Liquid. According to a thread on the HL support forums, somebody was able to install the kit successfully into the PSS-470. The PSS-470 is an older, but cool Yamaha piano that uses a YM3812 chip (same one used in old SoundBlaster ISA cards) for FM synthesis. 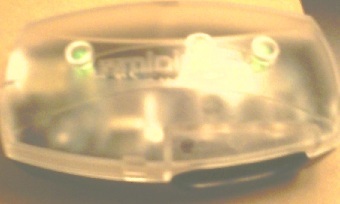 The chip supports 9 FM voices and uses 2 operators for the FM synthesis (OPL2). Once installed, through MIDI, the UMR2 Kit gives certain keyboards the ability to be used to compose music on a computer (by sending MIDI Note On events to composition software on a computer), and to be used as a sound module. 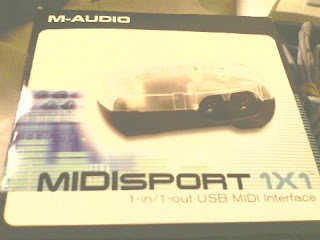 As a sound module, a PC can send MIDI events to the keyboard to make the keyboard play music automatically. 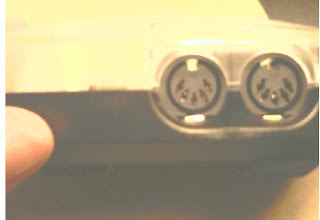 Due to how the UMR2 works (by sending signals to simulate a keypress), to my knowledge, as a sound module, the PSS-470 would only be able to use one individual voice in serial at a time for up to 9 duplicate MIDI Note On events. I was hoping to eventually hack the UMR2 or find an alternative method to feed raw data to the YM3812 chip to use it like a SoundBlaster chip as a sound module, by playing several different voices at the same time (for fun). 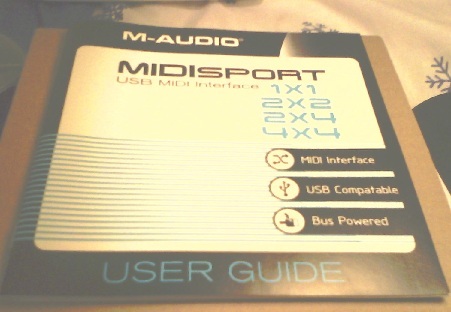 To prepare for a UMR2 retrofit and to interface MIDI to my laptop, I found and ordered on eBay a M-Audio 1x1 MIDISport USB MIDI Interface. Luckily enough, not only did I find my particular unit to be the cheapest available on eBay at the time ($25), but the seller was selling these in large quantity, NIB, so of course I took advantage of the opportunity! From online reviews, it is a well-made USB2MIDI interface, which, compared to those cheap, shady, Chinese USB2MIDI interfaces that plague eBay, has low MIDI latency and is reliable. 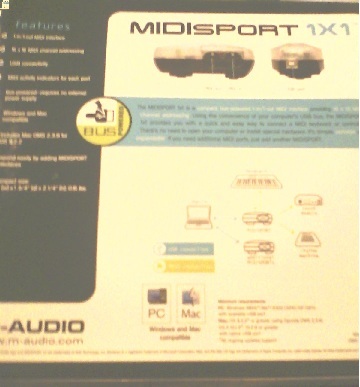 As the name suggest, the M-Audio 1x1 MIDISport has 1 MIDI IN and 1 MIDI out port. 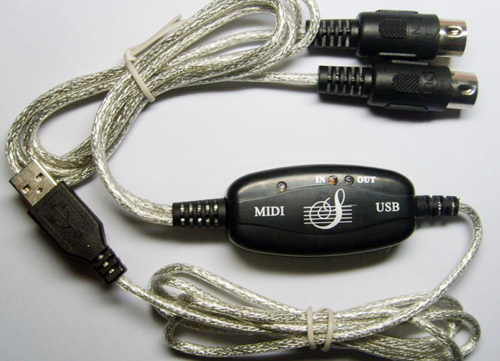 Unfortunately, by the time I was going to order MIDI cables, a UMR2 kit, and male MIDI jacks to install onto the UMR2, the only online wholesaler who was selling the UMR2 at this time sold out. Due to this, I plan on doing the retrofit (and if necessary, hacking the retrofit to play 9 different voices at once) at a later time. With the UMR2 being unavailable and not knowing if/when supplies would be restocked, I decided instead to purchase a few other things. 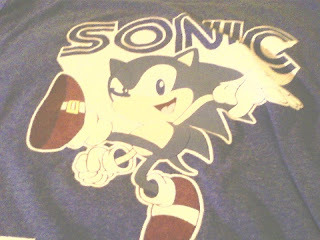 I found a Sonic the Hedgehog T-Shirt on sale for $12 to wear, since I am such a Sega nerd. 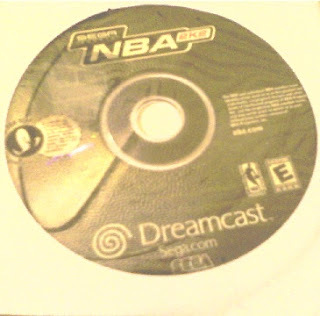 Speaking about Sega nerdness, I finally decided to take a trip to the local video game store and purchase... a Sega Dreamcast, with power cord and RCA Out, a 1st-party controller and VMU, and copy of NBA2k2 and Crazy Taxi!! 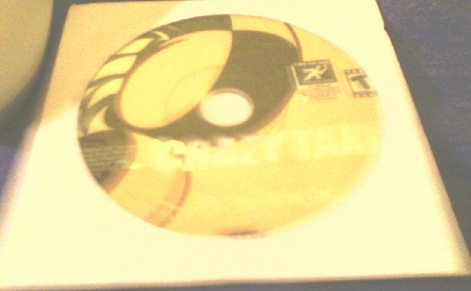 The NBA2k2 copy came free with the console, with Crazy Taxi half off ($5). 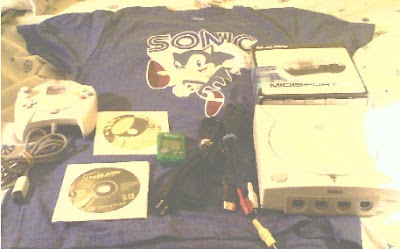 Everything cost $70, which although is a bit high for the console, due to the store being brick and mortar, at least allowed me to test the system and accessories in person instead of taking the word of a seller on eBay. 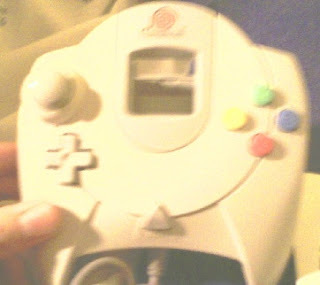 The controller and VMU are in working condition, the system is in rather good condition, and this Dreamcast unit is alive and still thinking. 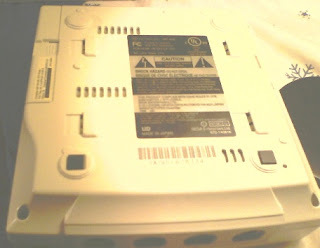 According to the sticker on the bottom, this unit was manufactured on December 1999 (probably a happy child's Christmas gift) and is a revision 1 model, which means the hardware does not have protection against the MIL-CD exploit. This exploit allows one to run software using properly formatted CD-Rs instead of proprietary, obsolete GD-R/GD-ROMs. 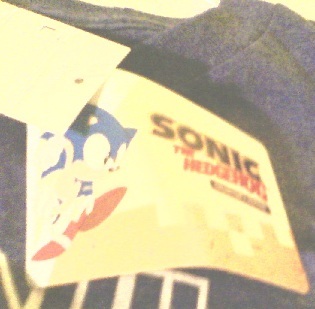 I also have a DC-SD adapter (promo price of $15) coming in the mail soon. This unit allows one to run DC software (such as homebrew) through the serial port on the DC's back through SD cards. 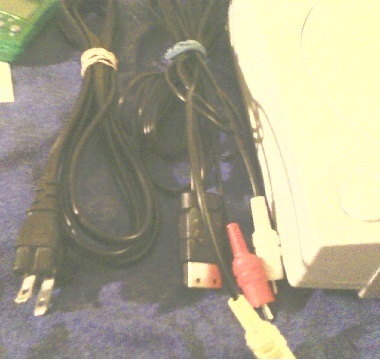 Although there are plenty of better, alternative ways to run software on the DC without original GD-ROM discs (bootable CD-Rs via the MIL-CD exploit, hard-to-find and expensive GD-EMU and shady USB-GDROM, and even an HDD hack for the daring), I ordered a DC-SD adapter because it was cheap, could be used to quickly play software (although compatibility problems do exist), and could be used to quickly debug future homebrew I create on real hardware without burning a ton of CD-Rs. 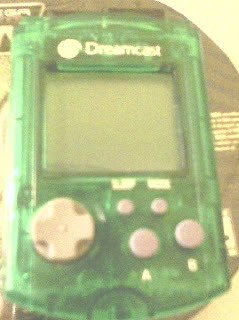 (DC Emulation is getting better these days, but not 100% accurate yet). It will be used to test/play homebrew (because I don't promote piracy). Overall, I had a good birthday, and am really looking forward to learning about homebrew development on the Sega Dreamcast! Socket the Hedgeduck: V0.1 Demo Release!